Oct. 12 – 15 Nashville welcomes back a lineup of Australian roots artists for the city’s annual Americana Music Festival and Conference. Presented by Nissan, held in downtown Nashville, the 2011 lineup includes 20 different Australian acts: 3rd Wheel, Kirsty Akers, Chris Altmann, Audrey Auld, James Blundell, Ange Boxall, Catherine Britt, Lachlan Bryan, Kristy Cox, Mia Dyson, David Garnham, Gleny Rae Virus and Her Tamworth Playboys, Caitlin Harnett, Harry Hookey, The McMenamins, O’Shea, Chris Pickering, Shandell, Henry Wagons and Duke Wilde Band. Sounds Australia is sponsoring the trip through its partnership with the Nashville-based Americana Music Association. “The level of interest we experienced last year is a ringing endorsement by the Australian music industry of the original mission that Sounds Australia undertook to create a platform within the Americana event for our artists and business people,” said Sounds Australia Manager Dobe Newton. 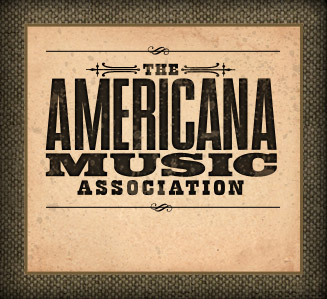 Early registration is open through Oct. 10 and includes admission to all AMA panels and nighttime showcases, plus special events during the Festival and a ticket to the Americana Honors & Awards show at the Ryman Auditorium. Wristbands are $50 and give access to more than 100 artists in five Nashville venues. For more details about tickets and wristbands, please visit www.AmericanaMusic.org. Tickets for the Honors and Awards Show are also available separately for $65 at www.Ryman.com. For the complete showcase lineup, please click here.